Pico Rivera Sports Arena is back in the spotlight again now that it's serving as this year's host for L Festival 2017! Located at 11003 Sports Arena Drive, Pico Rivera, CA 90601, Pico Rivera Sports Arena is known around Los Angeles primarily for rodeos, professional wrestling, and for hosting concerts that feature big name Latin touring acts in an open air environment. The venue is adjacent to Bicentennial Park, which is dedicated to Pico Rivera residents who fought for and served the United States during every war up to the Vietnam War. Pico Rivera Sports Arena is modeled after a Mexican rodeo ring, but it's exterior is large enough for a festival setting. For the upcoming L Festival, there will be three outdoor stages set up on the grounds to make the most out of the property encompassing the venue. When the arena is in use, it can seat anywhere from 5,000 to 6,250 fans in attendance. Sunday, March 19th: Marco Antonio Solis, J Balvin, Los Tigres Del Norte, Jesse & Joy, Jenni Rivera (Hologram), La Septima Banda, Sebastian Yatra, Jesus Mendoza, Cheyo Carrillo, Alvaro Diaz, Alex Sensation, Feid & more TBA. We'll keep you updated on set times once they're released to the public. 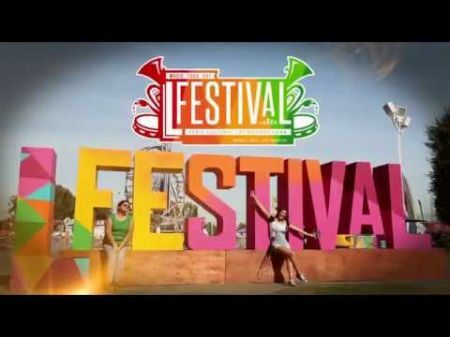 Tickets to L Festival at The Village at Pico Rivera Sports Arena are on sale now via AXS for $89.00 to $225.00 each for single day passes while two-day passes are also available for $149.00 to $399.00 each plus service fees. There are GA, VIP and Gold options for festival attendees which include upgrades you can purchase that include front of stage VIP viewing, private bathrooms, private bars and parking depending on the option you choose. There will also be a box office onsite that will have them on sale if any tickets remain. It is highly recommended to get your tickets in advance. The box office will remain open each night up until 90 minutes before the end of each festival day. Pico Rivera Sports Arena has ample parking available onsite where you will be able to park. Parking fees range between $20.00 for general parking and $40.00 for VIP parking. Motorcycle parking is limited on a first come, first served basis. No bicycle parking is available onsite. L Festival has partnered with Uber to get you to and from the festival if you decide to leave your car at home. Sign up at uber.com/go/LFestival or enter the code “LFestival” in your Uber app for a free first ride up to $20.00. A variety of Latin American restaurants will be on-site selling food, with bars and concessions available throughout the festival grounds. No outside food or drink will be allowed into the festival. A full list of vendors will be announced closer to the festival date. There will be an ATM onsite for vendors that only accept cash. Besides the music festival, there will be a special art exhibit inside of the Pico Rivera Sports Arena complex. The Frida Kahlo L Festival Art Exhibition will be open to festival attendees each day. The exhibit consists of copies of her art, original art by ten different artists inspired by Frida Kahlo, rare photography depicting both Frida Kahlo and Diego Rivera, and a photo cutouts where you can take a picture with Frida Kahlo at the exhibition. For those of you that want to stay near Pico Rivera Sports Arena to avoid the commute, here are some lodging options: Travelodge Whittier, Fairfield Inn & Suites by Marriott Los Ángeles Rosemead, y Ramada South El Monte. Be sure to also look on Airbnb for alternative lodging options as well. Stay tuned on AXS.com for more info on what Pico Rivera Sports Arena has in store for L Festival 2017!